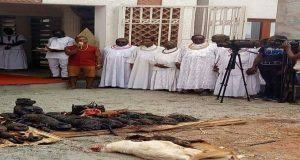 Mysterious deaths have plagued Iguomo community in Uhunmwonde LG area of Edo state following the alleged curse placed on some people by the forebears of Oba Ewuare 11, the Oba of Benin. 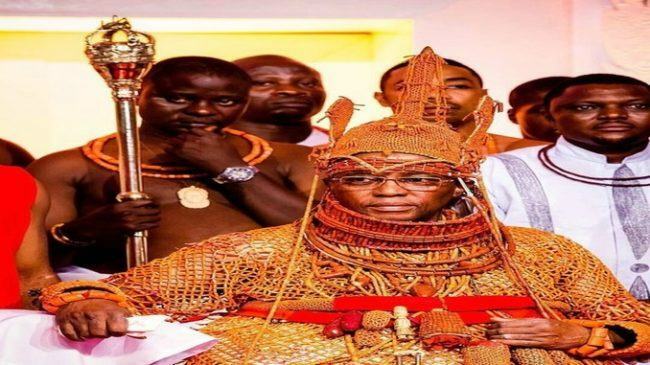 Members of the community stormed the palace of the Oba of Benin on Monday, March 19, crying and appealing for the revocation of the alleged curse placed on the community by the palace. 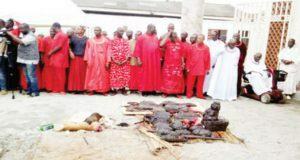 The community members however attributed the curse placed on the community to what they described as the sacrilegious acts of disobedience of native norms by the former officials of the outlawed Community Development Association(CDA) in the village who flouted the orders of Omo N’Oba. They cried that since after the curse, mysterious deaths, strange diseases as well as untold afflictions have been ravaging the community. Photos From Oba Of Benin First Historic Visit To President Buhari.